Closed Church + Needy Youth = Dragon’s Den! A place of inspiration for all young lives! Our vision is to challenge children of all ages to embrace life with courage, joy, and passion on their journey to becoming successful adults and outstanding citizens. Housed in the aesthetic environment of the former St. Mary Magdalene Church, Dragon’s Den will enrich the lives of children and families through innovative, healthy recreational and continuing educational programs, while maintaining the use of the historical building for the community’s contemporary needs. Dragon’s Den is a creative solution to the problem of sanctuaries closing in our region. See article. To promote the physical, emotional, social, intellectual and cultural development of youth (K-12), including at-risk and special needs children. To provide programs for youth and their families that assure the continued use and increase the cultural appreciation of a certified historical structure in the Homestead community. Beauty has an intrinsic value essential to human development. The unique philosophy of the Dragon’s Den is that children will thrive and develop as integrated human beings and community members if they experience beauty as an ordinary part of life. The architectural grandeur of St. Mary Magdalene is a unique enrichment for all children, but especially for local children with limited means and geographical limitations. 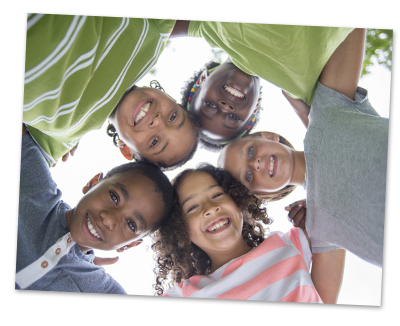 The Dragon’s Den aims to advance children’s (K-12) wellness by holistically expanding personal boundaries, and promoting inclusion, understanding, cooperation, and communication among children with various capacities and backgrounds. The Dragon’s Den wants to implement the program “Each Kid is Amazing!”. Our future plans include dedicating specific times to the use of the facility for children who have specific challenges: psychological, behavioral, and physical. This will allow these children to experience the joy and thrill of the Dragon’s Den’s activities in a comfortable environment adapted especially for them. The Dragon’s Den’s philosophy, built on our respect and understanding of children of all abilities, allows us to strive to create an environment conducive to promoting dignity, independence, and appreciation of all those who participate in our programs. 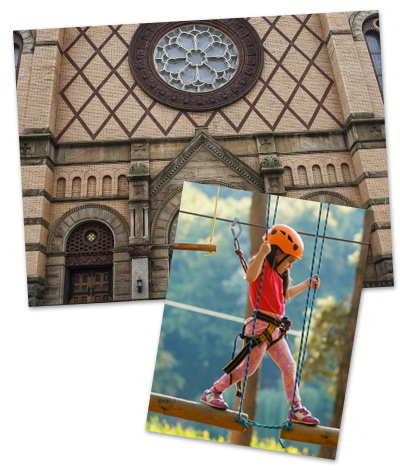 The Dragon’s Den will offer, in a stunning historical building, a transformative experience through an indoor suspended challenge course (with zip lines, balance beams and drawbridges), team building activities, and other after-school enrichment programs. We believe that through creative repurposing beautiful historical buildings can not only be saved from degradation and abandonment but can become safe havens for children in need. Although our emphasis is on children, we understand the importance of involving parents in their children’s activities whenever possible. Therefore, we plan to offer programs for the whole family several times throughout the year. An Indoor Rope Course built around stunning architectural features. In collaboration with psychologists, teachers, and students, the Dragon’s Den plans to develop pilot groups and measure the impact of its programs on the school performances of struggling students. Our ultimate goal at the Dragon’s Den is to offer a transformative learning experience for local children and all children.